Researchers are battling over how to identify and treat mental illness — but the changes may help pharmaceutical companies more than patients. Suffering from depression and getting the flu aren’t the same thing, but mental illness is, for the most part, treated a lot like physical illness. Both are understood through a binary framework that distinguishes between health and sickness, order and disorder, function and dysfunction. This framework — the medical model — treats mental illnesses like depression and schizophrenia as natural, uniform entities that, like physical illnesses, can be empirically discovered and described. Just as you can get the flu, you can get depressed. The main purveyor of the medical model of mental illness is the Diagnostic Statistical Manual of Psychiatric Disorders, or the DSM, a compendium of psychiatric disorders first issued in 1952 that conceptualizes mental illnesses as “dysfunctions” that occur “inside the head” of the patient. Critics of the DSM have long argued that the medical model divorces mental illnesses from the social and historical conditions in which they arise. By assuming that the cause of mental illness lies entirely within the person and not in society, the medical model and the DSM depoliticize the distress of the disadvantaged and marginalized. At the same time, the business of codifying, and treating, mental illnesses is also quite lucrative, sparking concerns that the needs of those suffering often come second to the needs of the insurance and pharmaceutical industries. Recently, however, the loudest critiques of the DSM have come not from the Left, or the anti-psychiatric movements, but from the major players in the mental health field itself. The National Institute of Mental Health (NIMH) — the largest funder of mental health research and a longtime stalwart of the DSM — has dramatically changed its position on the diagnostic manual over the past few years. Now sharply critical of the manual’s validity, the NIMH is calling for the field to move away from the diagnostic manual altogether and towards a new paradigm of mental illness. DSM diagnoses are limited to be sure, and many of the NIMH’s criticisms are right on target. But the institute’s alternative vision does nothing to challenge the binary medical model of mental illness. Instead, the NIMH’s plan moves the field more closely towards it by arguing that any understanding of mental illnesses needs to be based in objective, biological data. The NIMH’s policy shift away from the DSM and towards a new biology of mental illness did not come out of the blue. It is a direct response to the pharmaceutical industry’s failure to develop effective, profitable psychiatric drugs over the past decade. The NIMH hopes to revitalize the state of psychiatric research, and help solve the profitability crisis in the pharmaceutical industry — thus ensuring continued investment by Big Pharma — by aligning the way psychologists and psychiatrists think about, and treat, mental illness with the needs of major drug companies. The DSM, published by the American Psychiatric Association, is more than just an academic enterprise in psychiatric nosology, the medical science of classifying disease. It is the authoritative manual for classifying and diagnosing mental illness and impacts everyone who seeks treatment for mental illness in the US. Only DSM diagnoses are covered by private insurance companies and government assistance programs such as Medicare. So if you’re having an existential crisis, which is not a diagnosis listed in the DSM, you had better hope your doctor is creative enough to diagnose you with something like “generalized anxiety disorder” or “anxiety disorder-not otherwise specified,” or else you’ll be forced to pay out of pocket for treatment. The DSM is also used by other institutions like the legal system. Despite the manual’s explicit warnings against reliance on its classifications for forensic and legal decision-making, it is routinely used to determine whether defendants are mentally fit to stand trial or are eligible for the death penalty. While the manual is pervasive in US institutions, its accuracy in capturing mental illness is questionable. The DSM relies on an algorithmic structure for many diagnoses — to be diagnosed patients must exhibit a subset of symptoms from a much larger list of symptoms. This leads to high rates of heterogeneity — people diagnosed with the same disorder often look symptomatically very different from one another. Take an illness like major depressive disorder: a positive diagnosis requires a patient to have five out of nine listed symptoms, so two different patients diagnosed with depression may have only one symptom in common. This variability highlights the thornier problem that diagnostic categories like depression or schizophrenia are largely socially-derived categories, not uniform, naturally occurring diseases as presumed by the medical model. There are also remarkable similarities across DSM diagnoses. For example, anhedonia — the reduced ability to feel pleasure — is part of the diagnostic criteria for depression, schizophrenia, and substance abuse disorders. If you are diagnosed with one disorder, chances are you also meet the criteria for at least one other disorder. So patients diagnosed with a personality disorder (e.g., borderline personality disorder; narcissistic personality disorder) usually meet the criteria for approximately two more personality disorders. In the face of criticism, the DSM has been revised numerous times over the last six decades, but serious issues of validity remain, and many experts question whether the manual actually describes “diseases” akin to physical illnesses at all. Most of the field acknowledges the problems of the manual. But rather than conclude that the failures of the DSM show how limited the medical model approach to mental illness is, the dominant argument today is that the DSM is not medical enough. DSM diagnoses use patients’ subjective reports of their thoughts, feelings, and behaviors. A major depressive episode is diagnosed by asking patients whether they feel down, hopeless, or worthless (e.g., “Over the past two weeks, have you felt guilty or worthless nearly every day?”). Insel compares this use of subjective experience to “creating diagnostic systems based on the nature of chest pain or the quality of fever,” and argues that subjective experience is too fuzzy and unscientific. Instead, he insists, the study of mental illness should rely on objective, observable facts. Oncologists don’t diagnose cancer using phenomenological symptoms and psychiatrists diagnosing depression shouldn’t either. Critically, Insel believes that the NIMH should start from scratch, and develop a new way of thinking about mental illness that eschews DSM categories in favor of constructs informed heavily by the biological sciences. Critics of RDoC argue that the program privileges biological constructs over environmental, cultural, or “psychosocial” ones. This is certainly true, and it isn’t an accident. Psychopharmacology is in crisis. The data are in, and it is clear that a massive experiment has failed: despite decades of research and billions of dollars invested, not a single mechanistically novel drug has reached the psychiatric market in more than 30 years,” writes H.C. Fibiger, psychiatrist and Senior Vice President at Biovail Labs. He is not exaggerating. In contrast to the boom in psychiatric drug development of the 1980s and 90s, the industry has come to a standstill, now largely repurposing old drugs for new illnesses. Major field studies with thousands of patients conducted during the early 2000s on depression, bipolar disorder, and schizophrenia have found variable and lackluster effects of psychiatric medication for treating mental illness symptoms. This presents a major problem for psychiatric researchers because, after the NIMH, pharmaceutical companies are the largest source for funding. This is where RDoC comes in. By treating the DSM as the central cause of psychiatry’s failures — and eliminating it — the program aims to spur new research on the biology of mental disorders. For example, very few causal biological mechanisms of mental disorders have been identified — we still know little about what processes inside the body lead to mental illness. This is a problem for drug companies because no one knows what biomarker their drug should target: “Pharmaceutical companies often compete on the same poorly validated targets, wasting time and resources . . . this is unsustainable as a business model,” says Lenox, professor of pharmacology and clinical neuroscience at the University of New England College of Osteopathic Medicine. Biomarkers will give researchers something for their drugs to target and make drug development less risky and more profitable. The NIMH blames the DSM for the lack of identified biomarkers and argues that DSM’s “subjective” categories have led researchers astray. By focusing on “objective” measures, mechanisms, and biomarkers, the NIMH hopes to regain interest and, more importantly, funding from the pharmaceutical industry. To “jumpstart” this new understanding of mental illness, the RDoC is now requiring that all NIMH funding applications focus on a limited set of neuroscientific systems. But the neuroscience systems proposed by the NIMH are grossly inadequate for capturing the complexities of mental illnesses. 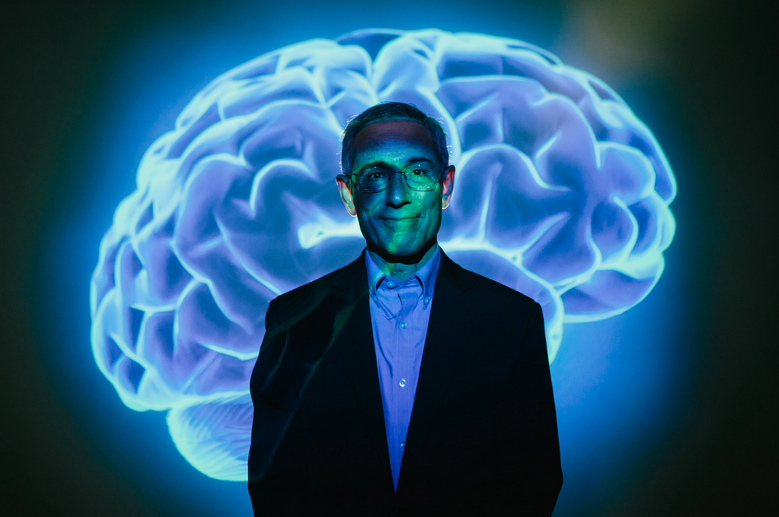 Scientists who have traditionally studied major depressive disorder, post-traumatic stress disorder, or bipolar disorder, are now scrambling to retrofit awkward neuroscientific constructs provided by the RDoC website, such as “negative valence systems” and “arousal/modulary systems” to mental illness in order to attract NIMH funding. Although the NIMH’s RDoC funding program claims to work towards a understanding of mental illnesses free of the assumptions of the DSM, the program maintains the central one — that mental illnesses are “brain diseases” divorced from subjective experience and society’s values regarding what is and isn’t distressing, inappropriate, repugnant, and morally reprehensible. The analogy between mental and physical illness is deeply flawed. While it is certainly true that the subjective experience of cancer is irrelevant in its diagnosis, any objective markers found in depression are meaningless if you do not feel depressed. Scientists at Northwestern University are developing a blood test for depression. What if it comes back positive, but you feel fine? Alternatively, what if you are suicidal, but the test comes back negative? It would be odd to conclude that you are not depressed. Subjective experience is central to mental illness. So while the modest effects of psychopharmacological drugs discovered in the past decade could indicate that better biological research is needed, they could also mean that the key to understanding and addressing mental illnesses lies elsewhere. Obviously biology matters, but the field needs to study mental illness on its own terms, rather than uncritically emulate the logic of the so-called hard sciences for the legitimacy and funding it brings. Questioning the medical model doesn’t mean mental illness is a myth. Far from it. People’s distress is very real, and the field can no longer ignore the problems in its current understanding of mental illness. But the RDoC’s exclusive focus on biomarkers to draw in pharmaceutical investment will not address these shortcomings. Instead, the RDoC will further strengthen the field’s economic and ideological ties to the profit-driven private sector. Its focus on “cutting-edge” neuroscience biomarkers will tether psychologists ever tighter to psychopharmacology and the prerogatives of big pharmaceutical companies. Over the past fifty years, the number of public psychiatric hospital beds in the US has decreased from 340 to 17 beds per 100,000 people, leaving poor patients nowhere to turn for adequate care. Many become homeless or end up in the prison system for petty crimes that could have been easily prevented if they had the proper community care. “These patients are suffering greatly not so much for lack of knowledge on how to care for them, but because of a lack of attention and inadequate resources,” says Frances. RDoC is part of a growing trend in which state and community services are short-changed in favor of a psychopharmacological model for treatment. However, despite its deep problems, there is a potential silver lining in RDoC’s start-from-scratch approach. The program presents a unique opening for the field to be explicitly critical of its past assumptions and learn from its failures. It would be a powerful move for psychiatry and psychology to take advantage of this crisis and not only move away from DSM diagnoses, but also the medical model itself and the overwhelming influence of pharmaceutical companies, toward an approach that incorporates subjectivity and recognizes the social and economic basis of mental illness. That would be a real change. Sana Sheikh, PhD, is a psychologist in training in Boston.